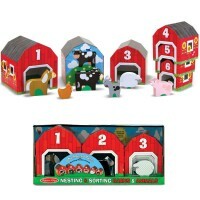 Sort n Pop Farmyard Friends set is a shape sorter, a toddler electronic learning toy, a farm pretend set, and a toy truck - all in one! 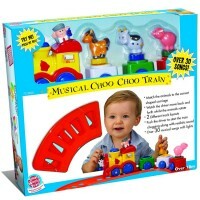 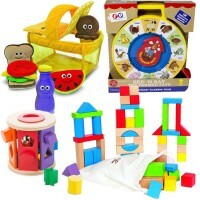 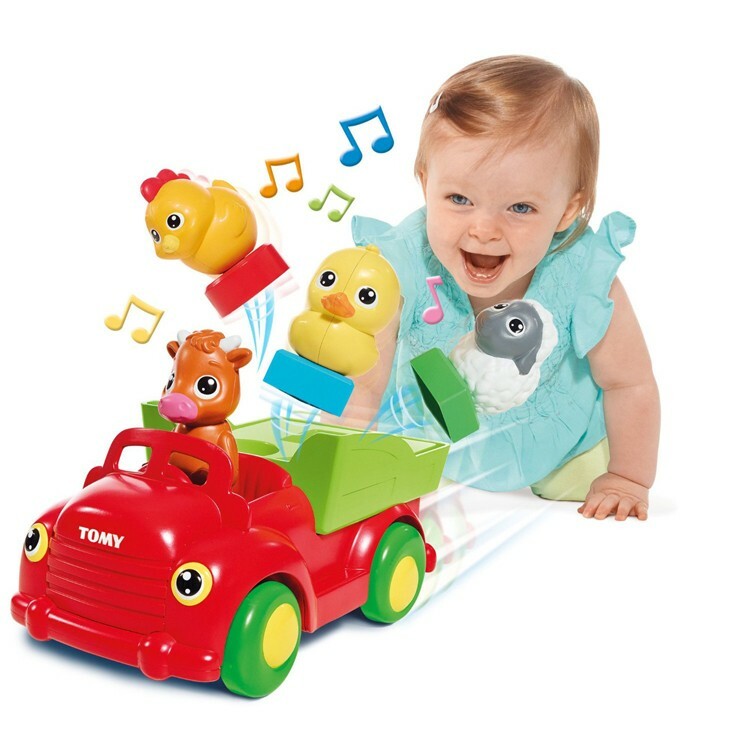 Toddlers will love playing and learning with the sound making toys. 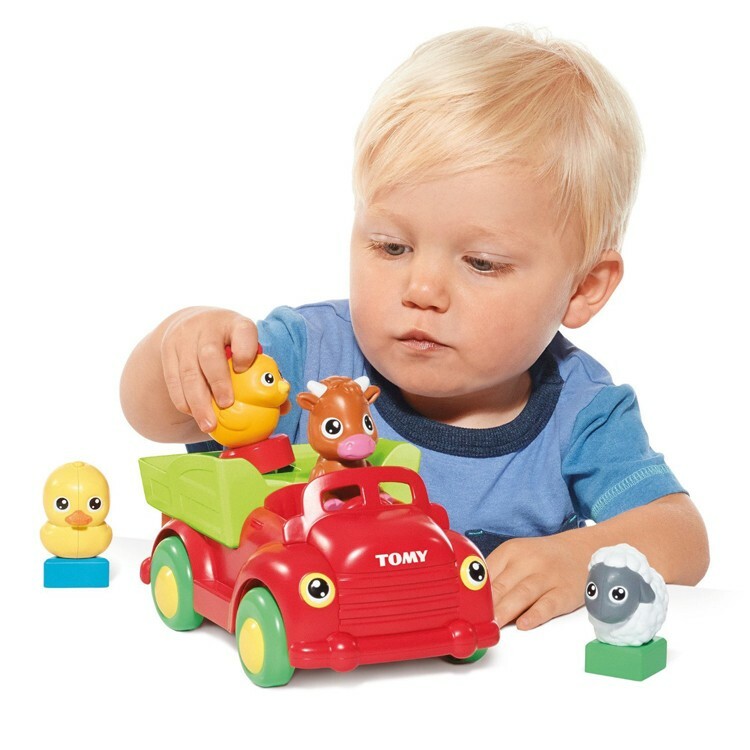 Sort n Pop Farm Animals Sound Truck is a shape sorter, a toddler electronic learning toy, a farm pretend set, and a toy truck - all in one! 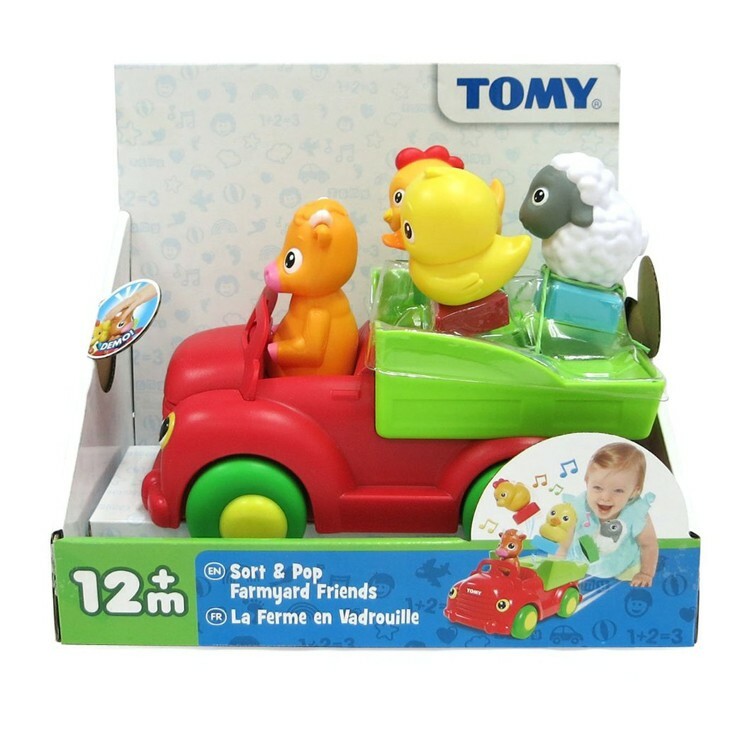 This TOMY's new activity toy features a farm toy truck with 4 barnyard animals: duck, sheep, cow and hen. 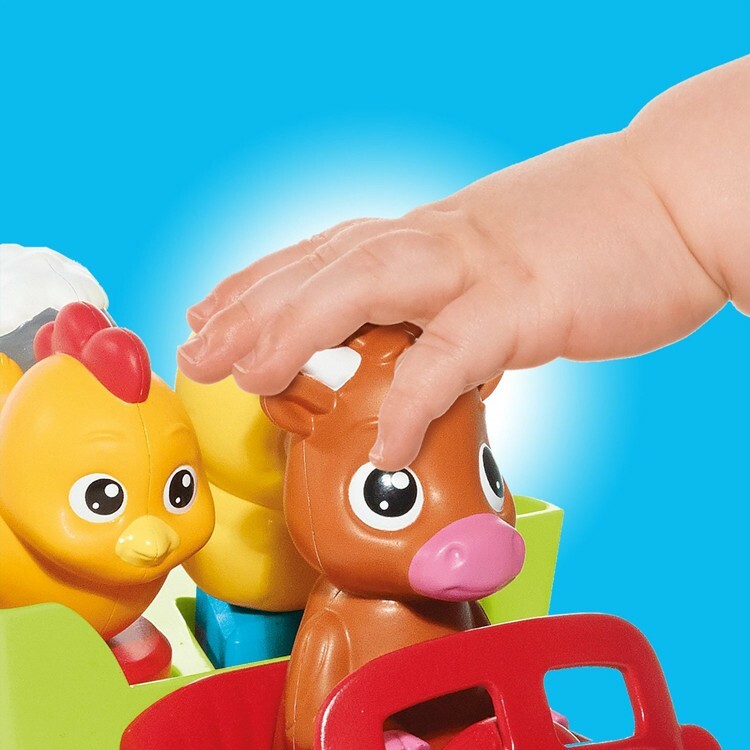 The base of each animal figure has a color coded shape. 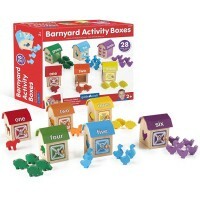 Match the base shapes and colors to their home spots. 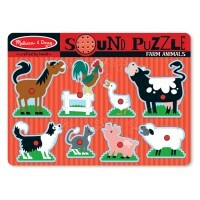 Each time one of the farmyard friends is placed on its in the correct spot, your child is rewarded with a sound effect. 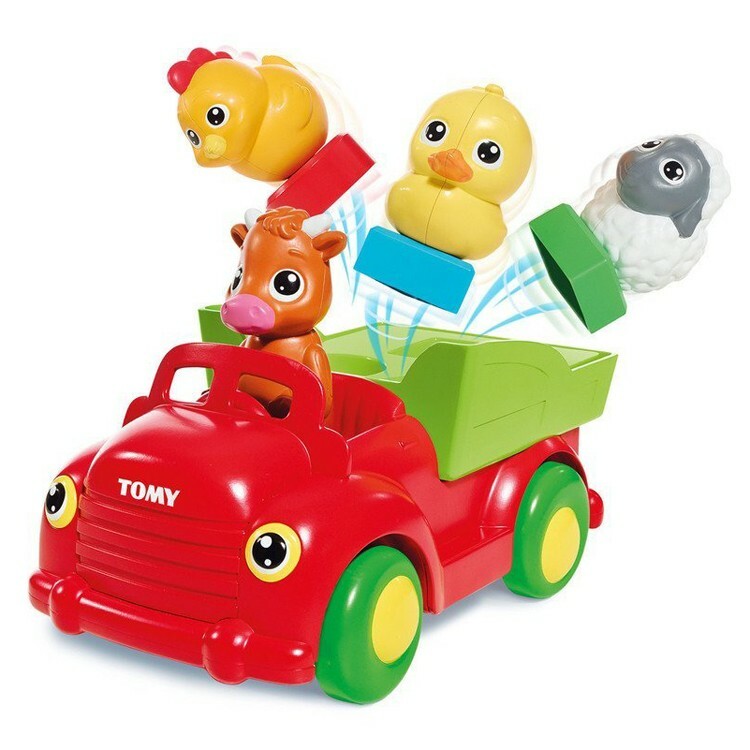 Fill the truck with farm animals, push it along, and watch the animals pop from the truck! 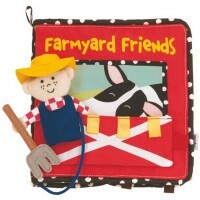 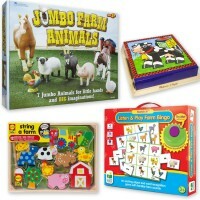 Your little one will have to sort the farm friends again! 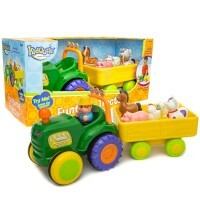 Educational Toys Planet recommends Sort n Pop Farm Animals Sound Truck as one of those activity toys that make tots learning without knowing. 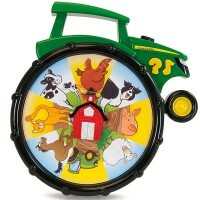 Dimensions of package 5.91" x 9.84" x 9.45"
Write your own review of Sort n Pop Farm Animals Sound Truck.